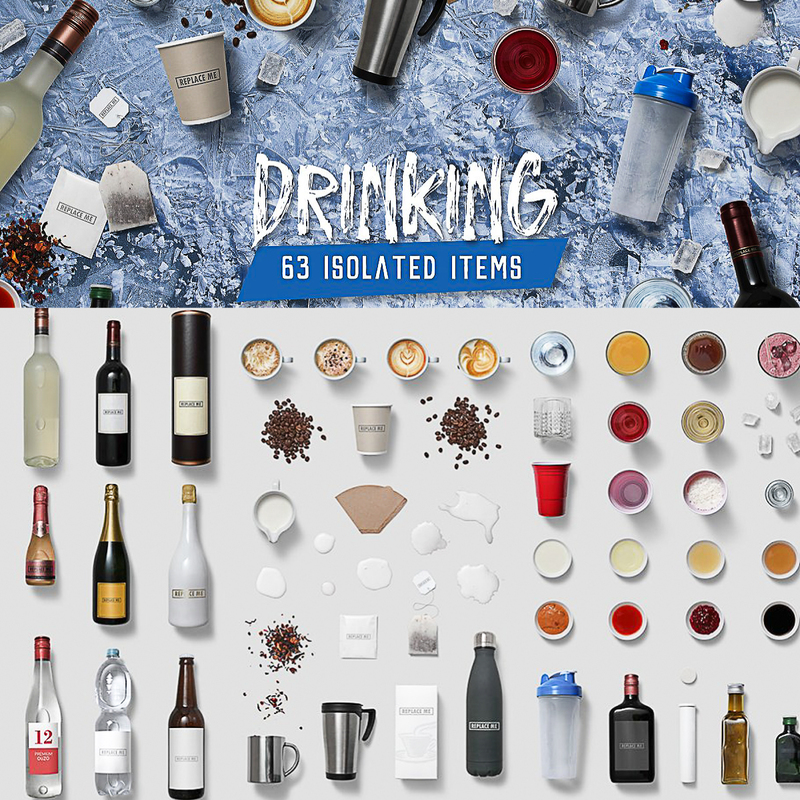 Introducing Drinking Isolated Items. You will get 63 Items Isolated and Transparent with Shadows. Easily create awesome presentations, hero images, flatlays, social media posts, promotion graphics and more. Tags: beverage, bottle, branding, cafe, capucino, coffee, drink, glass, isolated, kitchen, latte, milk, scene creator, shaker, tea.